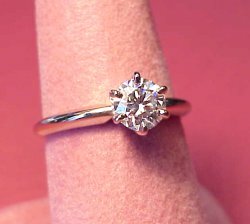 Use your own diamond or pick from our large selection for the center stone! 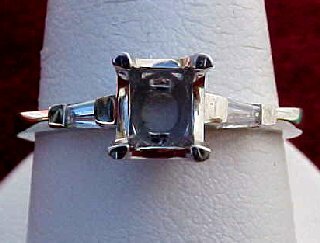 You will love this custom platinum mounting with two half bezel set round brilliant diamonds 0.50CT TW. Our custom PLATINUM mounting designed to fit approx. 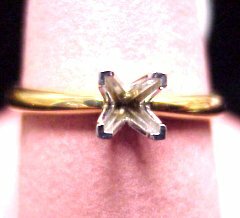 a 0.75CT princess cut diamond (or we can make to fit your diamond). The mounting comes with two 0.10CT baguette cut diamonds (for 0.20CT TW) both of G-H Color, VS Clarity! She will love the flowing lines of this exquisite engagement ring. 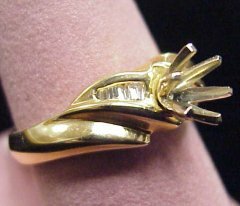 This engagement ring is set with 0.55CT TW of bright, white baguettes in 14K gold. Let us help you pick out the perfect diamond from our large selection. Popular custom mounting designed using two-tone platinum and 18KW gold! The ring comes with two 0.14CT round brilliant diamonds (0.28CT TW) each of G-H Color, SI Clarity. Timeless 14K two-tone engagement ring with 0.34CT TW princess cut diamonds of G Color, SI Clarity. 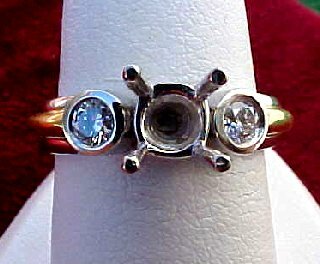 A beautiful well made engagement ring. WOW! 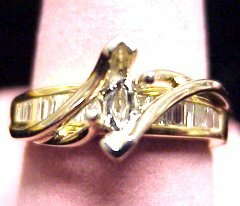 Check out the quality of this 14K two-tone semi-mount with side baguettes. Let us help you pick out a center stone from our large selection of ideal cut diamonds. 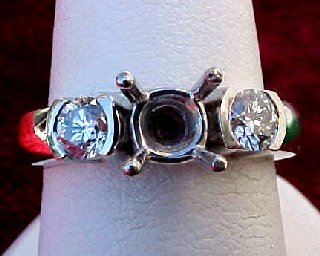 What a great piece to present to your sweetheart. 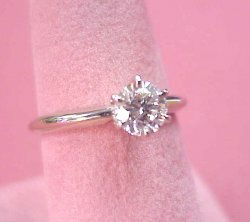 0.10CT TW of diamond baguettes have been set in this lovely semi-mount engagement ring. 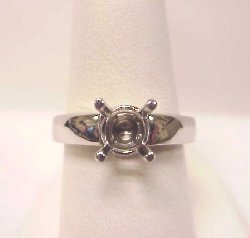 Your princess will look lovely in this stylish solitaire mounting. 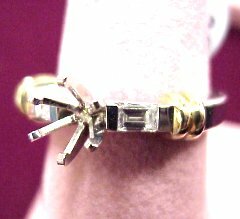 This style comes in 14K white or yellow gold for all size diamonds. Feel secure with this 14KW gold tension set band. 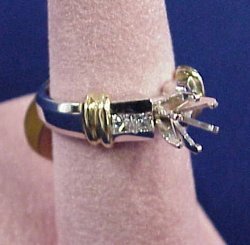 Your diamond will not be floating like so many other tension bands. 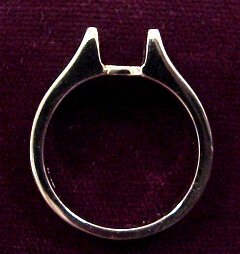 This band can easily be customized with driver diamonds.